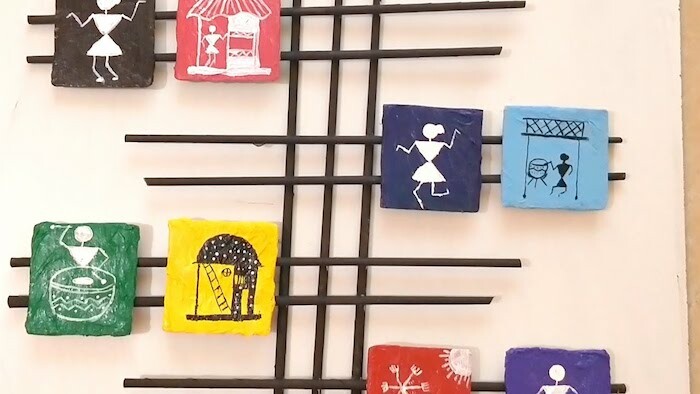 How to make wall hanging with warli art. Best out of waste using cardboard and newspaper. Material Used : Acrylic colours, glue, newspaper and cardboard.